Discussion in 'Rhye's and Fall RAND' started by Rhye, Jun 10, 2008. Welcome to the 1st preview of Rhye's and Fall RAND, a project that will try to offer something halfway between RFC and standard Civ. Features being retained still have to be fully decided, but for sure stability, rise and fall, the UPs and the graphics enhancements are in. Before that, the basic layer should be set. That includes terrain generation, continents generation, world size, civ starting locations, etc. This first preview covers the first aspect. The rest will be revealed when it's done (in the mean time, suggestions are always welcome). 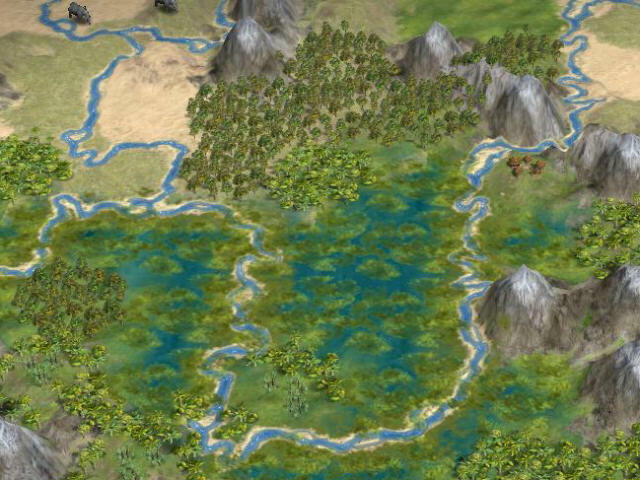 The only difference in terrains between RFC and normal Civ appears to be marshes. 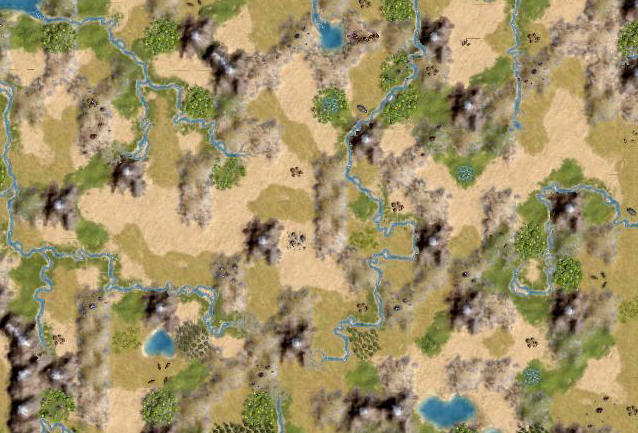 A pattern of mixed terrains, with 3-tiles deserts mixed with grassland, 1-tile jungle combined with plains, scattered peaks etc. Compare it to the Sahara, to the Amazon, to Himalaya. This is done by some additional code, that adds some delay (like one more minute), but achieves all of the requirements. Very nice. I'm looking forward to more. would you be able to play it on the standard RFC map, so that civs would spawn in random places, like engalnd in the middle of siberia? cos that would be crazy! The master at work, again! But, why don't you use the Terra map generator standard with the CIV game. It generates a map that has some similarity with the real world. OK, it's not fully random, but if gives a new world, and civs could be placed in a similar way as RFC. 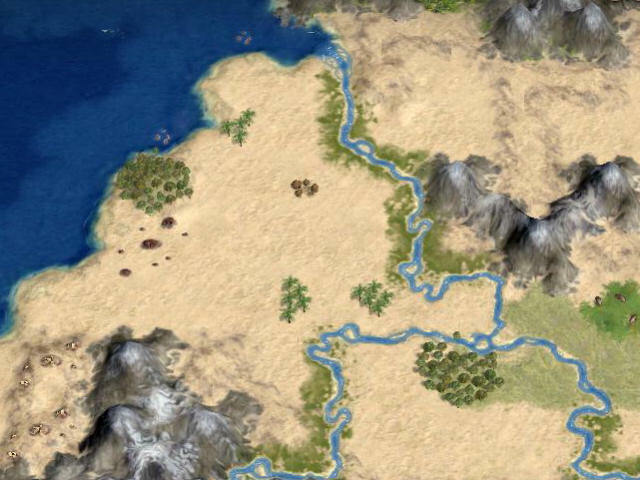 Civs could have settlermaps that hav some similarity with those in RFC. I don't know about anyone else but I always found Terra very unsatisfying because it was too similar. just done with one thing and Rhye does it again ! Wiki for Rhye's mods and general awesomeness -- want to smile ? click ! I was wondering this as well, an answer would be nice becuase I think that they should be included hands down. Keep up the great work Rhye! So, I love the idea, but am I the only one who can't see the "peep"s? Like, are there screenshots there that I just can't see? Perhaps you are, I can certainly see the screenshots in Rhye's post. - Do we really need marshes? - Will there be random core areas, and will new civs rise within existing civs borders (like America within England or France within Rome)? - Will there be random core areas, and will new cis rise within existing civs borders (like America within England or France within Rome)? Dabur you really do like emoticons don't you? Either way Rhye, smashing idea once again, and good luck with all the projects you're working on. I hope, at the very least, that the HRE is not in. I really don't want to see the Romans, the French, the Germans, and the HRE all in the same game. Just doesn't make any sense. 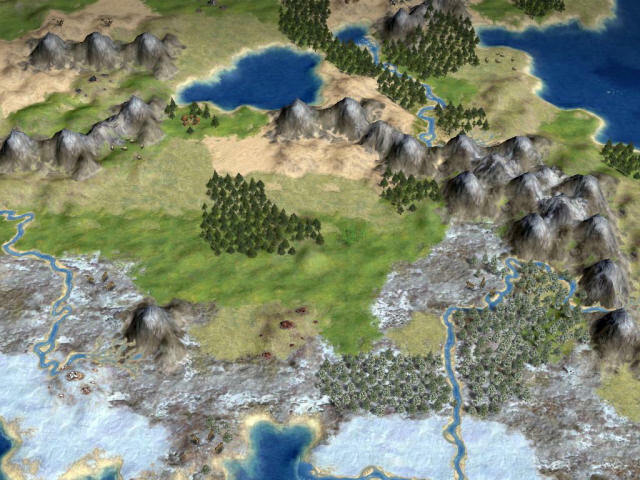 This looks great - One thing that comes to mind with the new algorithm is that resource trading is going to be important in RFC-R - Extended areas of one particular terrain mean that only certain types of resources are likely to turn up in each civ's territory. In order to get everything you need, you have to trade with others. Much more real-world like! Rhyes and Fall of Civilization. How does it not make sense? The Holy Roman Empire, France, Germany and Rome(Italian city-states) all existed at the same time.